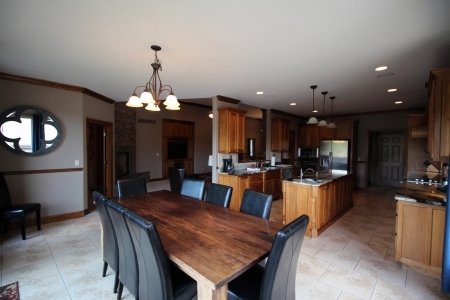 The Porto Cima Vacation Home at the Lake of the Ozarks is the perfect location for a large gathering of family, fiends or business associates. With nearly 5000 square feet of luxury, this six bedroom five full bathroom home provides plenty of space for up to 20 guests. To add to the sleeping capacity the home comes with two full living areas with queen size pull out sofa sleepers. Each living area will have 50 inch Flat Screen Television, perfect for one group that wants to watch the game and another group that wants to watch a movie. 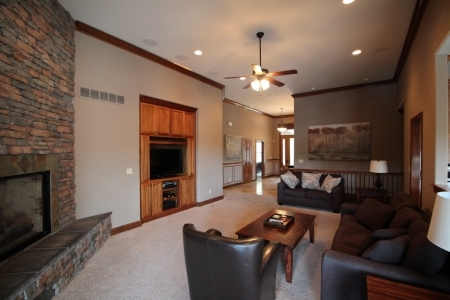 The lower level living area is adjacent to a pool table room which overlooks the lake. Each floor contains a full kitchen as well as a dining area with seating for up to 10 people per floor. 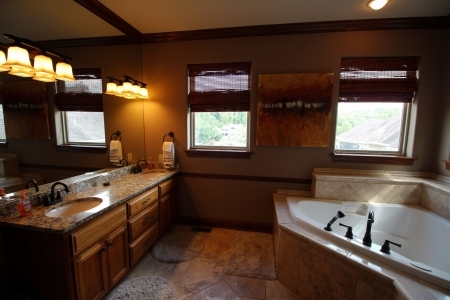 The home has fantastic wood trim and matching crown molding throughout. To complement the excellent craftsmanship, the home will be professionally decorated with furniture being delivered by February 1, 2010. The exterior of the home will feature a hot tub under a covered patio alongside an outdoor fireplace. The hot tub will overlook the flat grassy lakefront which leads directly down to a one well dock (16X44 slip) with PWC lifts and attached swim platform. 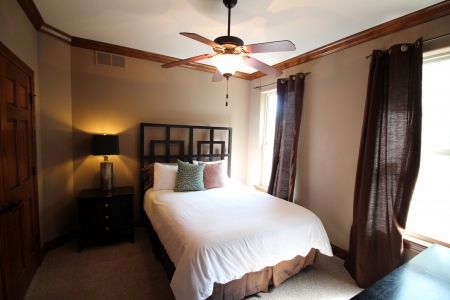 All Reservations subject to a 10.975% Sales & Occupancy Tax as well as a $200 cleaning fee. 50% Deposit due upon reservation, remaining balance due one month prior to your arrival.